Air quality in homes, offices, and other indoor spaces is becoming a major health concern, particularly in developed countries where people often spend more than 90% of their time indoors. Surprisingly, indoor air has been reported to be as much as 12 times more polluted than outdoor air in some areas. Indoor air pollutants emanate from paints, varnishes, adhesives, furnishings, clothing, solvents, building materials, and even tap water. A long list of volatile organic compounds, or VOCs [including benzene, xylene, hexane, heptane, octane, decane, trichloroethylene (TCE), and methylene chloride], have been shown to cause illnesses in people who are exposed to the compounds in indoor spaces. Acute illnesses like asthma and nausea and chronic diseases including cancer, neurologic, reproductive, developmental, and respiratory disorders are all linked to exposure to VOCs. Harmful indoor pollutants represent a serious health problem that is responsible for more than 1.6 million deaths each year, according to a 2002 World Health Organization report. 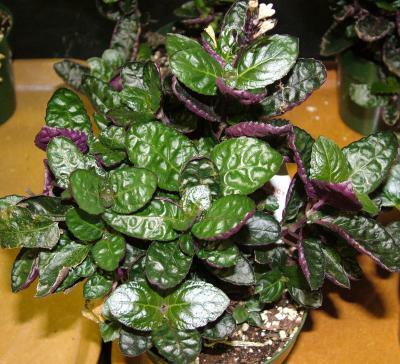 Stanley J. Kays, Department of Horticulture, University of Georgia, was the lead researcher of a study published in HortScience that tested ornamental indoor plants for their ability to remove harmful VOCs from indoor air. According to Kays, some indoor plants have the ability to effectively remove harmful VOCs from the air, and not only have the ability to improve our physical health, but also have been shown to enhance our psychological health. Adding these plants to indoor spaces can reduce stress, increase task performance, and reduce symptoms of ill health. The ability of plants to remove VOCs is called "phytoremediation". To better understand the phytoremediation capacity of ornamental plants, the research team tested 28 common indoor ornamentals for their ability to remove five volatile indoor pollutants. "The VOCs tested in this study can adversely affect indoor air quality and have a potential to seriously compromise the health of exposed individuals," Kays explained. "Benzene and toluene are known to originate from petroleum-based indoor coatings, cleaning solutions, plastics, environmental tobacco smoke, and exterior exhaust fumes emanating into the building; octane from paint, adhesives, and building materials; TCE from tap water, cleaning agents, insecticides, and plastic products; and alpha-pinene from synthetic paints and odorants." During the research study, plants were grown in a shade house for eight weeks followed be acclimatization for twelve weeks under indoor conditions before being placed in gas-tight glass jars. The plants were exposed to benzene, TCE, toluene, octane, and alpha-pinene, and air samples were analyzed. The plants were then classified as superior, intermediate, and poor, according to their ability to remove VOCs. Of the 28 species tested, Hemigraphis alternata (purple waffle plant), Hedera helix (English ivy), Hoya carnosa (variegated wax plant), and Asparagus densiflorus (Asparagus fern) had the highest removal rates for all of the VOCs introduced. Tradescantia pallida (Purple heart plant) was rated superior for its ability to remove four of the VOCs. The study concluded that simply introducing common ornamental plants into indoor spaces has the potential to significantly improve the quality of indoor air. In addition to the obvious health benefits for consumers, the increased use of indoor plants in both ''green'' and traditional buildings could have a tremendous positive impact on the ornamental plant industry by increasing customer demand and sales.